Arthritis treatments include cortisone and lubricating shots, oral medications, physical therapy, and even surgery (joint replacement). 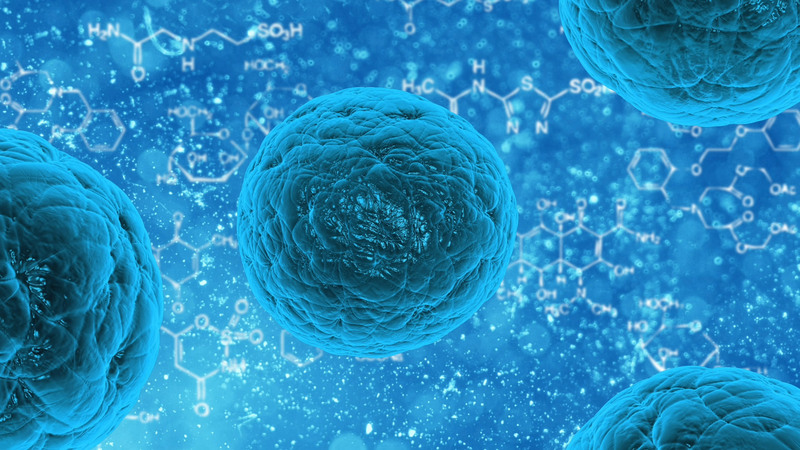 Stem cell therapy is a promising alternative to surgery for people with joint and musculoskeletal pain. Stem cells are the body's repair cells which can differentiate or change into other tissues depending upon where they are placed. New techniques allow us to harvest them for use in areas in need, for example, an arthritic knee. Stem cells, when combined with growth factors, can help rejuvenate damaged tissue. Stem cells are found in bone marrow, fat and blood. In our practice, we harvest the stem cells from the fat around the belly. A small liposuction procedure is performed and six to 10 teaspoons of fat are removed. The fat is placed into a machine (a centrifuge) that separates the stem cells from the rest of the fat. We also draw blood to make PRP (Platelet Rich Plasma). PRP is a liquid concentrate of platelets. Platelets contain hundreds of growth factors that are very important in the healing of injuries. We then add the PRP to the stem cells and inject the mixture into the area in need. By using the patient’s own cells, there is no risk of rejection. The patient then comes back to the office about one month later to give another PRP injection as a booster to help stimulate the stem cells. The procedure is done in the office setting under local anesthesia. The entire process takes less than 45 minutes. Most people notice improvement about five weeks from the date of the procedure. PRP injections can also be used by to help treat other soft tissue problems. Conditions such as plantar fasciitis, tennis elbow, Achilles tendonitis and patellar tendonitis can all be treated with this technique. By using PRP in these situations, surgery can sometimes be avoided. New techniques such as Stem Cell Therapy and PRP can be very useful in treating a variety of musculoskeletal problems. While these techniques should not be considered the “Fountain of Youth,” they can be an excellent alternative for patients who are trying to avoid surgery. This article was co-authord by Dr. David Zaret, one of Long Island’s leading board-certified, fellowship-trained foot and ankle specialists. He possesses extensive expertise in total ankle replacement surgery, as well as other more common foot and ankle procedures, such as fusions, tendon repairs and bunion corrections. For more information, call (516) 536-2800 or visit OrlinCohen.com. Dr. Eric Price is a board-certified, fellowship-trained sports medicine specialist with Orlin & Cohen Orthopedic Group. He takes care of all types of athletes, from pee-wee league players to pros and from weekend warriors to triathletes. As an athlete himself, he understands the need to get people back in their game. Dr. Price's expertise includes shoulder arthroscopy for repair of rotator cuff tears, dislocations, knee arthroscopy, including ACL and meniscus surgery. He also teaches shoulder arthroscopy as an Associate Master Instructor for the Arthroscopy Association of North America and as a Laboratory Instructor at several shoulder surgery conferences. For more information, call (516) 536-1212, ext. 213.